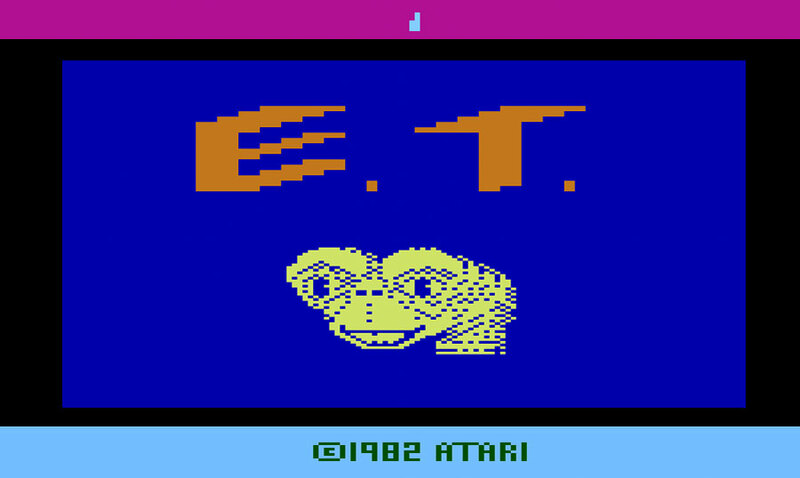 Back in 1982, Atari could have easily used the E.T. license to create an uninspired Pac-Man clone. It really doesn’t take much of an imagination at all to envision E.T. running around a maze, gobbling up Reese’s Pieces while collecting “phone” parts and avoiding FBI agents. 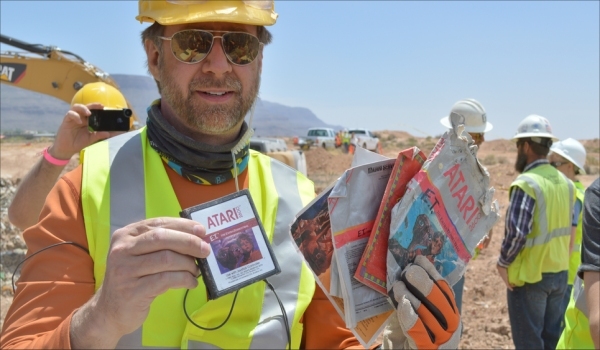 Instead Atari handed the license to Howard Scott Warshaw, creator of million sellers Yars’ Revenge and fellow movie tie-in Raiders of the Lost Ark. Faced with just five and a half weeks to get something ready for Christmas, Howard rose to the challenge and went on to deliver a curiously ambitious adventure. It’s often said that E.T. is one of the worst games of all time. Warshaw did perhaps forget what made a videogame fun – slowly floating out of holes in the ground is hardly an exciting pursuit – but what he was able to create in just over a month was a huge accomplishment. E.T. The Extra-Terrestrial began with an attractive title screen complete with a recognisable rendition of the famous John Williams score. The game itself meanwhile spanned numerous screens, giving players a ‘cubic’ world to explore as they filled E.T’s inventory with the various objects required to help the alien return home. Despite the tight time schedule Howard was able to sneak in a couple of ‘Easter Eggs’ as well, including cameos from his previous work. Christmas 1982 came and went and although the game was a big seller reports soon emerged of people demanding to know Atari’s return policy. Too complex for its own good, word spread that the game was far from what people were expecting and stock came flooding back. In addition to returns, Atari had also a huge amount of surplus stock. They had ordered 20m copies in advance – a baffling amount considering the 2600 had a user base of around 12m at the time. Eventually the unwanted stock was buried in a New Mexico landfill. Over time this story went on to become a legend of mythical proportions. 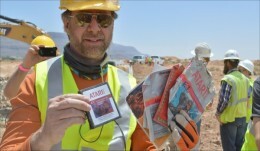 Roughly six months ago Microsoft went in search of Atari’s notorious haul of cartridges for the ‘Xbox Original’ documentary Atari: Game Over. Chances are you’re already aware of this – even mainstream media covered the event. What you may not know is that the documentary launched on both Xbox 360 and Xbox One earlier this week. It’s well worth an hour of anybody’s time, heavily detailing the boom and bust of Atari – everything from the company’s infamously relaxed atmosphere to how business swiftly took a dive after E.T. was released. Howard Scott Warshaw himself takes the limelight, becoming quite emotional when the first copy is unearthed after three long years of excavational planning. 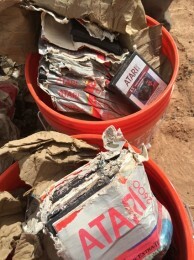 The record is set straight on more than few occasions, pointing out the fact that it wasn’t Atari who dumped the unsold stock but rather a warehouse company who was becoming strapped for space. Contrary to urban legend, copies of E.T. didn’t run into their millions either. Just a few hundred cartridges were found, resting alongside some of the Atari 2600’s finest. This dispels the myth that the burial took place solely because E.T. was a commercial disaster. There’s one mystery that goes unanswered though – why did Warshaw colour the E.T. sprite bright green? That’s something we’ve always wanted to know.